W&L Hosts Japan-America Student Conference The conference brings more than 65 students to Lexington from Aug. 12-17 and includes two public events. Washington and Lee University is hosting the 70th annual Japan-America Student Conference from Aug. 12-17. This student-led cultural exchange program and academic conference brings more than 65 students to Lexington and includes two events that are free and open to the public. 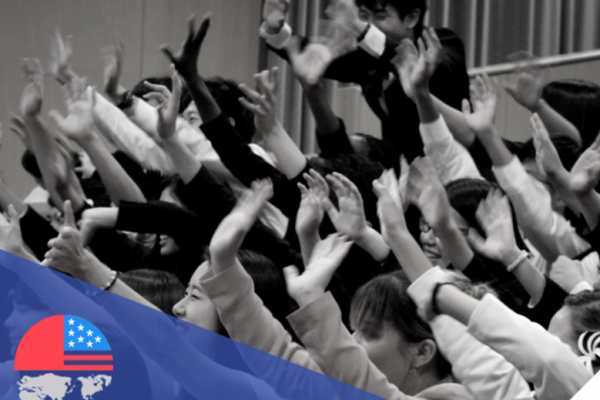 Every year, an equal number of students from the U.S. and Japan compete to be selected to spend one month studying and analyzing U.S.-Japan relations while visiting four regions of the host country. The U.S. is the 2018 host country, and students are spending time in Washington, D.C.; Madison, Wisconsin; and Portland, Oregon, in addition to Lexington. On Aug. 15 at 1:30 p.m. in Stackhouse Theater, the conference will host a small business and community engagement panel. The owners of some of Lexington’s favorite local businesses will discuss their methods of interacting with the community and their take on social responsibility. Panelists include representatives from Pronto Cafe, Cheese to You, House Mountain Yarn Company, Blue Phoenix and Artists in Cahoots. The panel will be moderated by W&L’s dean of the Williams School, Robert Straughan. At 11 a.m. on Aug. 16, there will be a Conflict Resolution and Mass Violence Prevention Forum in Stackhouse Theater. This panel, featuring experts in various fields and delegates from the Japan America Student Conference, aims to address conflict resolution on a larger scale. The events are sponsored by W&L’s East Asian Studies Program and East Asian Language and Literature Department, the Office of the President and the Center for International Education.